This project begins with the close observation of each dancer's movement during a single spin in the latin dance of Salsa. Tracking particular points on the legs, knees, waste, elbows, and hands of the two dancers, a notation developed for tracking the movement was deployed to create visual composites of what these movements might look like in 2D representation. 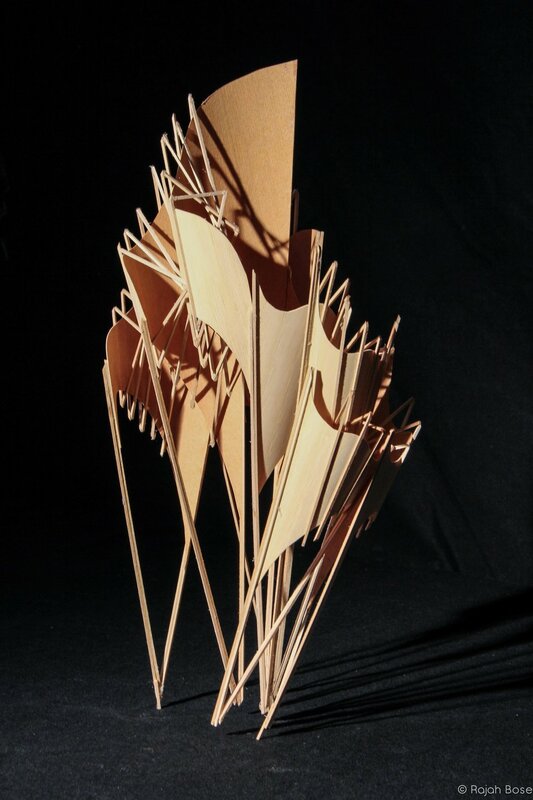 The composite images were used as inspiration to generate a 3D sculptural form that had a strong sense of partnership and dynamism (basswood models above). The model was then used as inspired to generate the forms and visual language of an artist retreat, nestled between two generic shipping containers as the site.